In the wake of Hurricane Katrina, New Orleans has been rebounding slowly. Five years after the disaster, researchers suggest that the city promote its entertainment industry as a development strategy. After Hurricane Katrina struck in 2005, there seemed to be hundreds, if not thousands, of proposed solutions to the "problem" of New Orleans. Some argued that the city should be relocated to higher ground; others said it should be rebuilt from the ground up as America&apos;s model green city; still others advocated that the city allow nature to determine its shape. These blueprints had one thing in common: They sought to re-establish The Big Easy as one of America&apos;s great cities (even though some of the city&apos;s detractors argued that it should be abandoned altogether). 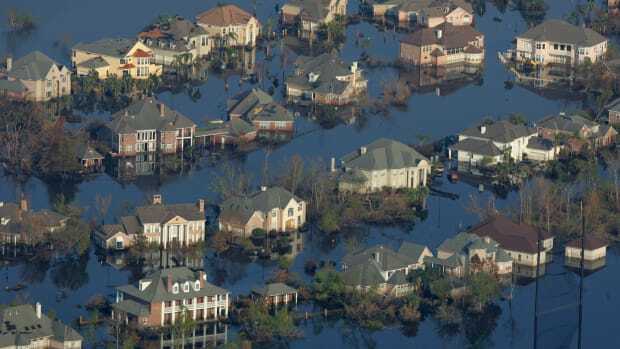 While many of the proposals centered on improving the area&apos;s levee system, a recently published paper by Cathy Yang Liu, Ric Kolenda of Georgia State University, along with Grady Fitzpatrick and Tim N. Todd suggests a development plan that has little to do with protecting the region from future disaster. Comparing New Orleans to similar cities, they concluded what it really needs to do is grow its entertainment industry. Of course, New Orleans is already seen as an entertainment, or at least a hedonistic, destination. The city&apos;s almost year-round outdoor festivals, including Mardi Gras, the French Quarter Festival, the Essence Music Festival and the Voodoo Music Experience, help depict the milieu it desires while bringing tens of millions of dollars to city merchants. But those existing one-offs are not what the authors are focused on. Specifically, the researchers recommend that the city maintain its existing advantage in the motion picture and performing arts industries, while at the same time promoting computer and software industries, attracting and retaining young professionals and improving its business climate. They base their argument on creative class theory, which posits that the formula for successful development of a city or region depends on the three "T&apos;s" — technology, talent and tolerance (i.e. diversity). "New Orleans has been a cultural mecca for music and food for decades. The challenge is how to transfer that into a sustainable industrial sector besides tourism," lead author Liu told Miller-McCune.com in an e-mail interview. In short, artistic visitors are nice, but artistic residents are nicer. And given the current crisis in the Gulf, the future of coastal tourism in the region is anything but guaranteed. Her sentiments echo those expressed by Jed Horne in the 2008 Miller-McCune feature, "No Easy Solutions for Rebuilding the Big Easy," which points to Brad Pitt&apos;s relocation to New Orleans as fulfilling "the hope of a well-heeled cadre of New Orleanians who saw the challenges that recovery entailed as a whetstone on which the city could refine its political instincts and its international reputation for music, art and design." There is good reason for the city to incorporate this reputation into its development strategy: A 2009 report from Economics Research Associates found that the film industry alone had a $763 million impact in Louisiana in 2007, with 56 major film and TV projects — a number that jumped to 80 in 2008. The state currently ranks third in national film and television production, behind only California and New York. Not only is the industry growing, but it creates the kind of high-salary, high-skilled positions that New Orleans has been fighting to keep. Creative industries have the benefit of being relatively clean, safe and green, and, as an added bonus, they promote the region that houses them. The Louisiana Legislature began offering tax incentives to lure media projects in 2002. 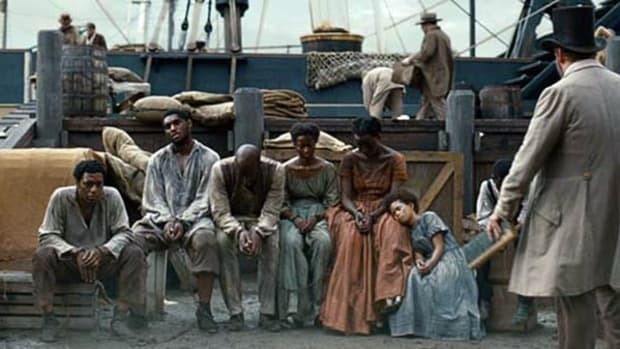 In spite of Katrina, the number of film industry jobs in the state increased from 926 in 2001 to 3,056 in 2007, according to the Economic Research Associates report. Liu and her team compared the New Orleans Metropolitan Statistical Area to those of Atlanta, Austin, Texas and Wilmington, N.C. — three cities that have established strategies to attract and maintain creative media businesses. They share basic characteristics with New Orleans, like region, weather, size, cost of living and business climate. The researchers found that although New Orleans experienced more rapid growth in the film and sound recording industries between 2002 and 2007 than the other metropolitan areas, it has a lower concentration of arts, design, entertainment and media workers than Austin and a lower concentration of computer and software programmers than both Atlanta and Austin. They point to these industries as possible areas for growth, adding that the mismatch between industry growth and occupational data shows that New Orleans is lacking in creative workers. They caution that New Orleans could be losing money through its tax incentives to the film industry and should perhaps consider pulling back. Rather than aggressively pursue film-related businesses, they recommend that the city offer tax incentives for the digital media and video game industries, pointing out that while New Orleans is unlikely to challenge California as the center of the universe for these sectors, second place is still up for grabs. Improving quality of life is a crucial aspect of the city&apos;s development agenda. "Without a basic level of public safety and quality education, all of the other recommendations will be less effective," Liu asserts. As her paper points out, education and poverty levels tend to be closely related, and New Orleans has higher poverty and crime rates and lower education levels than comparison cities. These stats can sometimes intrude on the entertainment hopes in a very direct manner: In 2004, Ray Davies, lead sing of the venerable rock band The Kinks, was shot there. He later wrote that a doctor told him, "New Orleans is really the ideal place to get shot," as the doctors there had plenty of practice dealing with gunshot wounds. Indeed, while New Orleans has become one of the country&apos;s largest-ever educational experiments, the results have been mixed: While many charter schools are thriving and public schools have improved, the most recent Cowen Institute for Public Education report on the subject still describes their overall performance as "unacceptably low." New Orleans also has a lower level of educational attainment than its counterparts. Only 24.8 percent of residents have a bachelor&apos;s degree, compared to 38 percent in Austin. Wilmington and Atlanta rank between the two. The city is home to 11 colleges and universities, but their total enrollment is smaller than the comparison cities. Research by the Milken Institute has shown that research institutions play an important role in the development of an industry; programs like Loyola University&apos;s music industry studies program, University of New Orleans&apos; film and jazz studies programs and Tulane&apos;s new major in digital media production show promise in promoting the local arts and entertainment industries. Liu says that since she completed the paper last year, the city has already made strides in several key areas. Greater New Orleans, Inc., an economic development agency serving the greater New Orleans area, created the Digital Media Alliance specifically to promote the media industry, and the city created a mini-conference around the Jazz and Heritage Festival to bring in film, television and music executives. As Miller-McCune.com noted in "Music Festivals Offering a Greener Listening Experience," New Orleans is also home to the explicitly green Project 30-90 (http://temp.project3090.com/index.html), which debuted in 2009 and is slated to take place on Sept. 11 of this year. The city has also developed new housing options in the downtown district that are young-professional friendly, and an organization named 504ward is working to attract and keep the "New Orleans Vanguards" there. The organization connects young people to existing networks within the city, providing them with career prospects, social engagement and the opportunity to make an impact on their communities. 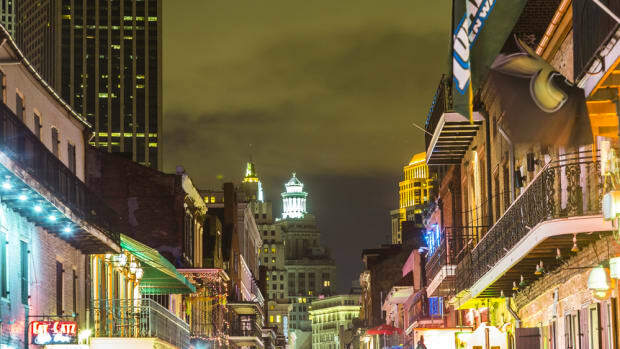 When compared to the other cities in her study, Liu believes that New Orleans&apos; location gives it a unique advantage, "As a traditional port city in a temperate climate, it has few rivals in the U.S. It is also uniquely multicultural, a trait that is especially valued in growing the new economy and attracting creative workers." This suggests that the new New Orleans has already begun using public policy to promote the growth of the creative industries and therefore its own economic development by attracting a younger, more diverse workforce. Then again, the researchers admit, its reputation could undermine its success: "The perception that New Orleans is just a place to party could cause it to be taken less seriously as a place with high quality of life and good business climate." Hurricane Katrina forced policymakers in the city and state to fix not only some of the worst circumstances of incarceration, but also to prevent people from being held in dangerous conditions altogether. Did Termites Help Flood New Orleans? An expert says they didn't cause New Orleans floodwalls to collapse. But they may have undermined levees.